Randall Claney used to be chaplain at the Hospital of the University of Pennsylvania. For about 12 years he’s been on disability and though he’s currently looking for part-time work, his budget remains pretty tight. 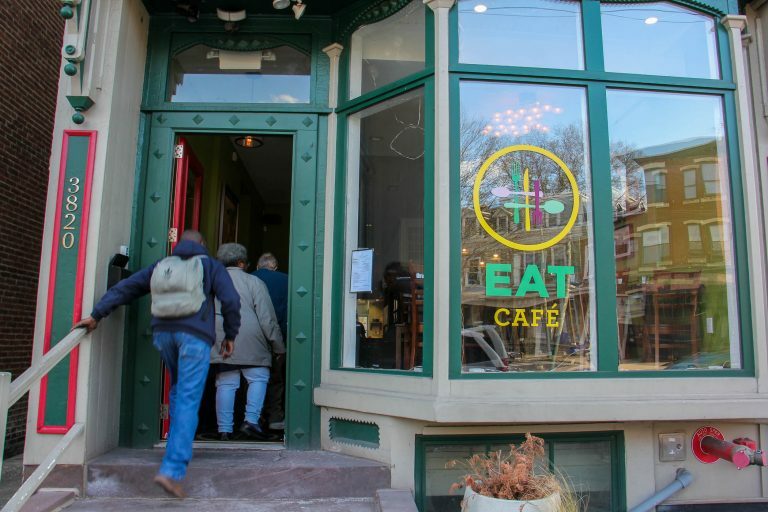 But almost every Wednesday evening for two years, he’s had a place to go for a healthy meal — EAT (Everyone at the Table) Café, Philadelphia’s first pay-what-you-can restaurant. “To be able to come here and look forward to coming here it’s just, it is something that’s not just an experience but it actually helps with my quality of life,” said Claney. But the restaurant will serve its last dinner April 19. Mariana Chilton, director of Drexel University’s Center of Hunger-Free Communities, founded the eatery on Lancaster Avenue in the Poweltown section of West Philadelphia less than three years ago. The university declined interviews but released a statement citing rising operating costs and a loss of funding as reasons for why the café will close. It also prohibited reporters from speaking with staff. 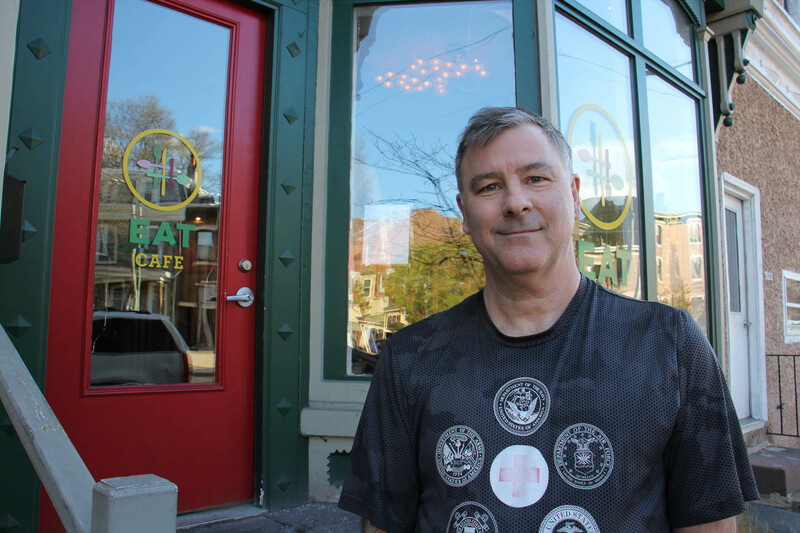 As Claney waited for the café to open Wednesday evening — the first in line — he said he’s grateful for the meals he’s enjoyed there and saddened by its fate. He wishes he could pay the suggested price for his kale salad, pulled pork sandwich, and chocolate ice cream, but instead he will leave $5, as he does every Wednesday. “And there’s no sense of concern or worry or feeling badly about a person leaving this or that,” he said. Tracy Charles Gibson feels the same way. He comes to EAT Café whenever it’s open, every Wednesday, Thursday and Friday. Gibson has high blood pressure and he says church missions don’t offer the healthiest food. For Gibson, the restaurant was a way he could have a healthy meal in a dignified way. 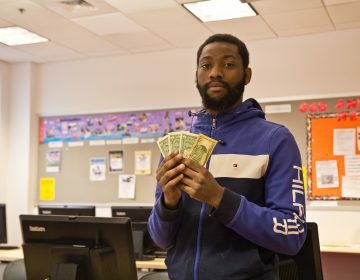 “Having not to think about feeding myself on some days, it takes the stress away,” said Ayriel King, a recent college graduate who’s trying to find a job. On the days she could afford it, she’d pay the suggested price for her meals at the café, on other days she’d pay what she could spare. On EAT Café’s web page it reads, “We address food insecurity by serving delicious meals to all who walk through our door.” It opened in fall of 2016 however, the pay-what-you-can model’s limitations were taking a financial toll by fall 2017. In order for the system to remain sustainable, some diners need to pay the suggested meal price. By October 2017, it was clear that wasn’t happening enough. Susan Dobscha, professor of marketing at Bentley University in Massachusetts, studies this phenomenon and is critical of a model that tasks consumers with addressing social issues. “Individual consumers cannot, nor should they be asked to, solve food insecurity through individual purchases,” she said. 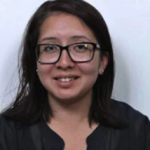 Dobscha co-wrote a paper looking at Panera Cares, a pay-what-you-want experiment by the chain Panera Bread. The company closed its final Panera Cares location in Boston this year. The way Dobscha sees it, change should be driven by larger market influencers. In the case of food insecurity, Dobscha says steering what would otherwise become food waste — produced by grocery stores and restaurants — to those in need would have a much greater impact. “Individual consumer purchases don’t fix systemic problems,” she said, pointing to what she calls more effective efforts like those taking place in New York City. Are there more effective ways to fight food insecurity? Of course, says Tommy Brown, vice president of One World Everybody Eats, a network of pay-what-you-can cafes. He also helps run one of these establishments in Boone, North Carolina. Brown says soup kitchens or food pantries are more efficient ways to get meals into people’s hands. But that’s not the point of these cafes. 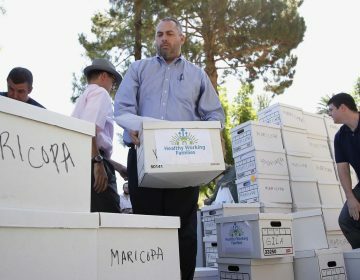 “Regardless of means people are able to come in and to be a part of the community and be a part of the community with dignity,“ he said. What’s more, the cafés are most effective in engaging the community and raising awareness about food insecurity. “It’s like any successful business, some work and some don’t,” Brown said. He says it’s about finding an affordable property, enough donors and volunteers to help in the running of the cafes. Brown estimates there are about 50 restaurants using this model in the U.S. Nostalgia over its Philly identity isn’t enough to maintain sales, a food-industry observer says. 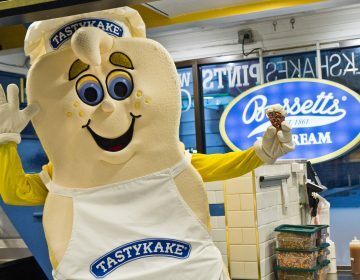 That’s why Tastykake is launching products to entice new consumers. Does Philly’s ban on cashless stores still leave ‘unbanked’ residents behind? Philadelphia is the first major city to ban cashless stores. But anti-poverty advocates and low-income residents never asked for it.